The bullish outlook for gold is seen as a trigger for silver to perform better going ahead. Silver has not been delivering positive returns to investors across the globe, prompting them to stay away from the market the past few years. In fact, the precious metal is already down by as much as 14 per cent since January. But all that seems set to change for silver prices in the coming quarters. The fall in demand for the metal, especially from financial market investors going for exchange-traded products, is expected to reduce. Going ahead, expectations of a weak dollar and support from gold will help silver prices recover and the recovery is estimated to be faster than gold. Silver prices usually follow the prices of gold -- as a precious metal -- as well as base metals -- for industrial use, where it has a 55 per cent demand. Prices of the white metal have trailed those of gold, so far this year, in the precious metals space. And the ratio of fall in terms of beta or volatility has been 1:1.37. This means silver has fallen faster than gold, pushing the gold-to-silver price ratio to above 85 recently. Bernard Dahdah, senior commodity analyst at London-based Natixis Commodities, says, “The strong correlation with gold, which is currently at 0.84, will help silver prices to benefit from gold rally. "The yellow metal is projected to rise as the US dollar could weaken going ahead. So far this year, the average price of silver has been $16 per ounce. With the metal currently trading at $14.6-14.7 levels in the international market, it is likely to deliver good returns. The gold-to-silver price ratio is currently 84. The ratio indicates relative performance of both metals and determines the number of ounces of silver that can be bought with one ounce of gold. Silver has weakened by 1.37 times compared to gold in 2018. This means that for ever drop of $1 in gold price, silver has shed $1.37. Dahdah of Natixis says, “The same beta will be seen as prices of both precious metals recover, meaning that silver will outperform gold. 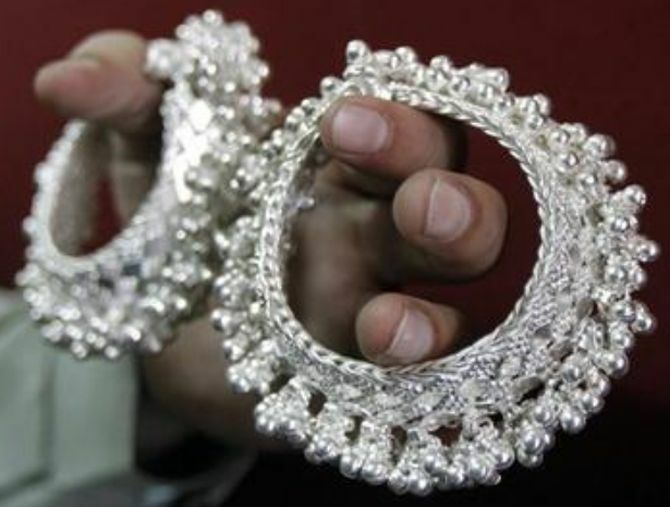 Silver is currently trading at above Rs 38,000 a kilogram in India and is likely to rise going ahead, as a falling rupee is expected to prop domestic prices. Kunal Shah, head of commodities at Nirmal Bang Commodities, says, “We are bullish on gold and silver going forward, due to looming uncertainties on the geopolitical and monetary policy front. He sees looming uncertainties because, the global economy has entered uncharted territory. In India, there is a new dimension to the silver scene. So far, Hindustan Zinc and some metal smelters/refiners have been suppling around 500 tonnes a year of the metal for the past one or two years. The Silver Institute, a global body that provides facts, trends and estimates for the industry, said in the World Silver Survey 2018 released two days ago, “In addition to imported bullion, supplies also came from domestically mined and refined silver, metal refined from imported concentrates, and gold and silver doré. Gold dore imports make up almost 40 per cent of the domestic demand of around 600 tonnes. Apart from producing the yellow metal, the dore also produces silver during the refining process. Such supplies have also increased in 2018 and are slated to rise, going ahead. The report also states that India has seen higher import of the metal in recent months, at 810 tonnes in May, the highest monthly import since May 2015. Even in April, imports were higher at 612 tonnes.